Southeastern Louisiana University through its affiliate, University Facilities, Inc. has selected Lincoln Builders of Baton Rouge, Inc. as the contractor for the $32,500,000.00 expansion and renovation of the SLU Student Union building at the Hammond campus. The three phase construction project will include construction of a new 87,163 square foot addition to house multiple new dining operations on three floors, as well as renovation of the existing 89,000 square foot War Memorial Student Union which was built in 1964 and the renovation of the Student Union Annex which was built in 1981. The design will merge the three different additions into one single unified landmark on the campus with a vibrant translucent exterior that welcomes visitors and serve as the “Front Door” to the University. In addition to multiple dining options, the new building will also include added retail, a bookstore and other student lounging and meeting areas. Holly & Smith Architects of Hammond is the design firm on the project. Expected completion date for the project is October, 2014. 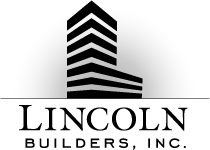 Lincoln Builders, a 50-year old commercial general contractor, is based in Ruston with offices in Baton Rouge and Fort Worth.